Many retail investors tend to equate mutual funds with equity mutual funds. However did you know that it is Debt mutual funds which account for nearly two-thirds of the industry AUM? (Source: AMFI). 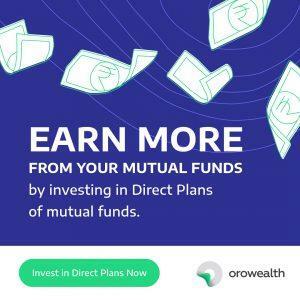 Debt mutual funds invest in various fixed-income instruments. At the risk of broad generalization, one could define fixed-income instruments as those which pay a fixed rate of interest for the life of the instrument and then return the principal amount back at maturity. Now all of us are already aware of one major instrument that fulfills this criteria – the ubiquitous bank fixed deposit or FD. However what distinguishes the fixed-income instruments that debt funds invest in from your typical FD is that these instruments have a secondary market where they can be bought and sold. Prices of fixed-income instruments can fluctuate a lot. Because of this even though the rate of interest on these instruments is fixed, the returns that can be earned are not. Debt mutual funds can be classified according to the type of fixed-income instruments that they hold. These funds invest in debt instruments with very little time to maturity left (less than 91 days). These instruments can be issued by different kinds of issuers such as government, corporate etc. Liquid funds are considered extremely safe. There are two kinds of risk in any debt instrument. First, the risk of default by the issuer of the instrument and Second, is the interest rate risk or the risk that interest rates in the market will go up compared to what is paid by the instrument because of which price of the instrument will come down. For liquid funds, since instruments have very little time left for expiry, therefore the risk of default is quite small. Also the interest rate risk also depends on the maturity because the maturity determines that for how long you are locked in the lower rate of interest. Hence the interest rate risk in liquid funds is also negligible. As a result, liquid funds are safe. However for these very reasons the upside in liquid funds is also limited. Investors can think of liquid funds as an alternative to bank deposits/FDs. They give returns similar to FDs/slightly higher than bank deposits, have a more favorable tax treatment and are nearly as liquid as your current accounts. Liquid funds are best suited for investors who are looking for stable returns even if they are a bit low. This kind of return profile is best suitable for someone who has a short (less than 1 year) investment horizon or someone who wants to park funds which can be needed at any time such as emergency funds. These funds invest in debt instruments with slightly longer time to maturity ( 91 days to 1 year). These instruments can be issued by different kinds of issuers such as government, corporate etc. Since the maturity of instruments is higher than liquid funds, therefore the risk (both default risk and interest rate risk) is slightly higher but so in the potential for returns. Ultra short-term funds are suited for those investors who are willing to take slightly higher risk for more returns and have a time horizon of 1-2 years. These funds invest in special kind of debt instrument where the interest is reset regularly (typically one a quarter or once in 6 months), based on the market interest rate. These instruments can be issued by different kinds of issuers such as government, corporate etc. Floating-rate instruments and hence floater funds have very little interest rate risk because the interest keeps getting reset regularly. Rather than being suited for a particular type of investor, these funds are suited for particular times. Floater funds make sense if you expect interest rates to go up and hence do not want to lock today’s low interest rate. These funds invest in debt instruments with maturity of up to 3 years though there is some scope for flexibility in the time period which separates short term income funds from regular income funds. Short-term income funds also invest in paper issued by various entities such as government, corporate etc. Due to the longer maturity of short-term income funds (compared to liquid and ultra short-term funds), they have more credit risk or risk of default and also more interest rate risk. As a result if interest rates in the market go down, the returns of short-term funds will increase and can even be in double digits. There is commensurate risk if interest rates go up. These funds are most suited for investors with a 1-3 year investment horizon. These funds invest in debt instruments from different issuers with an average maturity of greater than 3 years. The longer maturity of income funds means they have significant interest rate risk. As a result if interest rates in the market go down, income funds generate double digit returns due a significant increase in prices of the underlying instruments. If interest rates go up then investors will see losses. The interest rate cycle (central bank going through a complete of hiking interest rates and then cutting them or cutting and then hiking) is typically of 3-5 years. Hence an investor with 3-5 year horizon can invest in income funds. Over this horizon, they should expect to see positive returns which are higher than that of liquid funds due to the fact that the investor took more credit and interest rate risk. Gilt funds can be thought of as a special kind of Income funds that only invest in instruments issued by the government. These funds can either be short-term or long-term based on the maturity of instruments that they invest in. The average maturity of a long-term gilt fund is usually more than that of income funds. This is because of the easier availability of government paper at longer maturities. Since the government is considered to be an extremely safe borrower (they can always print money in case they run out of it! ), so gilt funds do not take credit risk. They only take interest rate risk. However the interest rate risk in gilt funds is typically more because of higher average maturity since the government typically issues more longer-dated paper than corporate.Conservative investors with a 1-3 year investment horizon can consider short-term gilt funds. More risk-oriented investors with 3-5 year horizon can consider long-term gilt funds. While investing in debt funds, it is important to be careful about “Plus” or “Enhanced” funds. Such suffixes usually denote that the fund is investing a small percentage of its portfolio in some higher return (and higher risk) financial instruments. These could either be equities or more risky interest rate instruments than in the main portfolio. For instance a “Liquid Plus” fund could be investing in some longer maturity debt instruments. Hence it is important to carefully go through the fund factsheet when investing in such funds to make sure there are no unpleasant surprises. While all fund managers have some amount of discretion on what to hold in their portfolio, they are still bound by the objective or mandate of the fund in terms of maturity and credit quality. However there is a special category of funds called “Dynamic Bond Funds” where the manager has the explicit mandate that they can pick debt instruments of any maturity. In theory, such a manager will invest in longer maturity instruments when interest rates are expected to come down and will invest in shorter maturity/floating rate instruments when interest rates are expected to go up, thereby giving consistent returns. In practice, interest rate timing is not that easy and evidence of dynamic bond funds outperforming their more passive counterparts is unclear. Hence investors may be better-off creating their own portfolio of liquid, short-term and long-term debt funds based on their investment horizon and risk appetite.